Chocolate cheesecake now served as cookies! Small Batch Oreo Cheesecake Cookies are eggless chocolate cream cheese cookies rolled in Oreo crumbs for a nice crunchy texture. What’s in your cookie jar right now? Do people even own cookie jars anymore? I’ve never owned one nor have my parents. Our idea of a cookie jar is a plastic airtight container where you can instantly see how many cookies are left. Then there’s this lockable cookie jar that’s supposed to help with portion control so you aren’t eating cookies every 5 minutes. I’m pretty sure I would break it within the first hour because I wouldn’t be able to wait for the timer. The least they could’ve done was not make it clear. Talk about temptation when you can see what’s inside without actually being able to open it. If you walked by a lockable cookie jar with these Small Batch Eggless Oreo Cheesecake Cookies inside, could you resist? I certainly wouldn’t. These chocolate cream cheese cookies are cousins to the graham cracker Eggless Cheesecake Cookies I made. They get their cheesecake flavor from a cream cheese cookie dough without eggs, not from cheesecake pudding mixes I’ve seen other recipes use. Instead of rolling the dough in graham cracker crumbs, I rolled them in Oreo cookie crumbs. 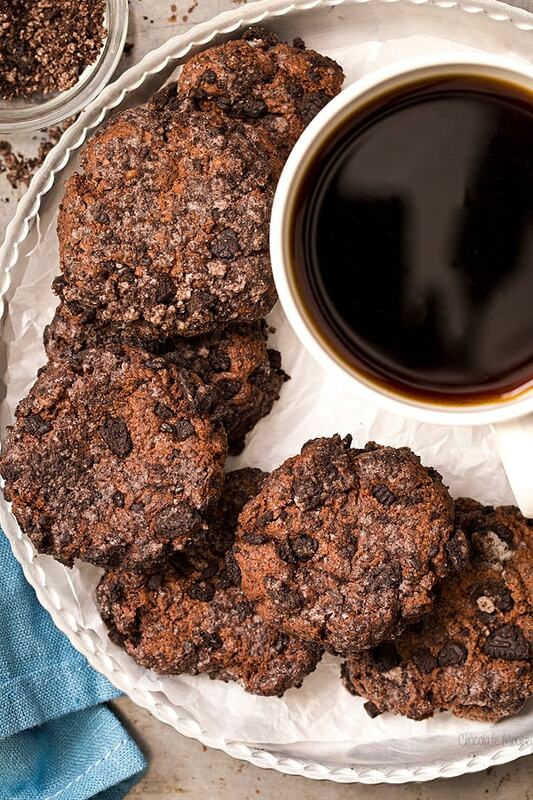 They are like cookies and cream cheesecake cookies with cocoa powder added for an extra chocolate boost. 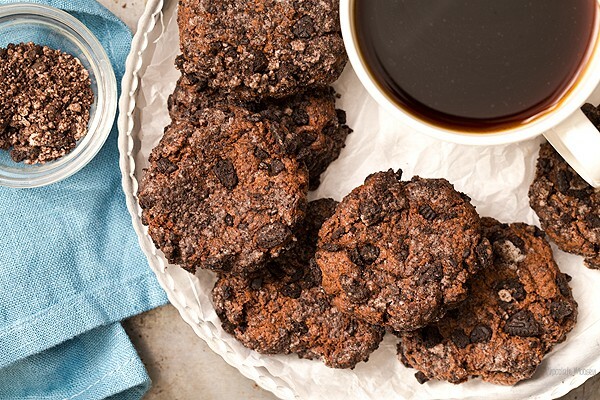 If you’re all about the chocolate, then you’ll be all about these cookies. The cookie dough is made with no eggs, thanks to the cream cheese, perfect for those with egg allergies. Cream cheese helps bind and moisten the dough, much like how eggs would. I personally like it because that means one less egg to use. I go through a ton of eggs for both baking and cooking, so every egg counts. The Oreo cheesecake cookies don’t spread very much while baking, so when they are puffed and done, flatten them with the back of a spoon. I personally think they are best eaten when still warm because the outside is crunchy while the inside is soft and warm. Of course they are still pretty amazing after cooling, but trust me. You won’t be able to wait that long. One question I get a lot is: do cookies baked with cream cheese need to be refrigerated? 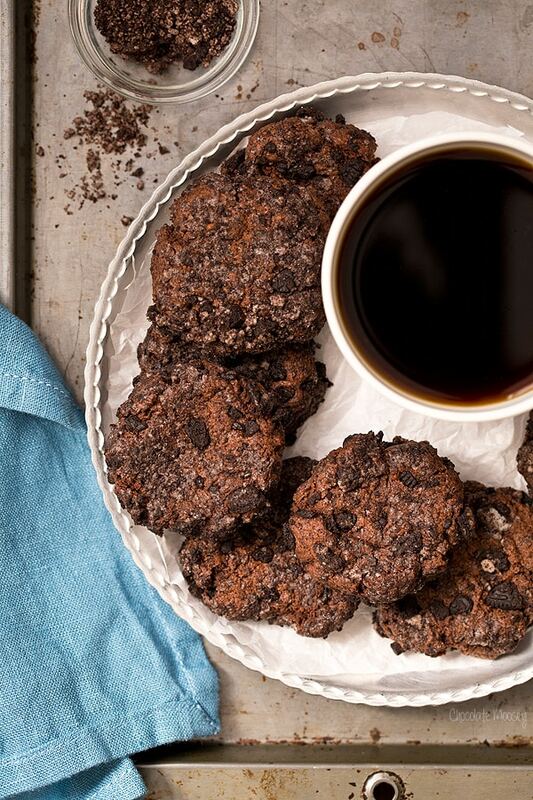 The answer is no, not for eggless cream cheese cookies. The flour and sugar will absorb any moisture responsible for bacteria to grow from the little protein in cream cheese. What To Do With Leftover Cream Cheese? The hardest part about baking for two is sometimes you don’t use the full ingredient amount. Take cream cheese, for example. It only comes in 8 ounce blocks, but this recipe uses 2 ounces. What do you do with the rest? Make a homemade tomato sauce with Creamy Tomato and Mushroom Pasta. Enjoy a cup of Cheesecake Hot Chocolate. Preheat oven to 375 degrees F. Line one large baking sheet with parchment paper. In a large mixing bowl, beat together the butter, cream cheese, sugar, and vanilla until smooth and creamy, about 1-2 minutes. 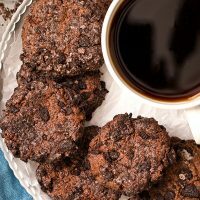 Add in the flour, cocoa powder, salt, and 2 tablespoons cookie crumbs and mix until all the dry ingredients are just incorporated (do not overmix). In a small bowl, add the remaining 1 tablespoon cookie crumbs. Using a #40 cookie scoop or by hand, roll the dough into 1 1/2-inch balls, roll into the crumbs until completely coated, then place on the baking sheets about 2 inches apart. Bake 12-15 minutes or until the edges are golden brown and the tops are puffed. 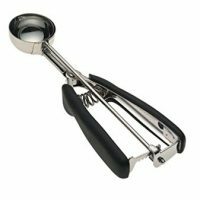 If they didn't spread as much as you'd like, very carefully flatten the cookies with the back on a spoon while still warm. Cool 3 minutes on the baking sheets then transfer to a cooling rack to cool completely. Store in an airtight container for up to 1 week. Not in the mood for chocolate? Check out my Small Batch Eggless Cheesecake Cookies. thank you so much to give this to me, I can not wait to try it!